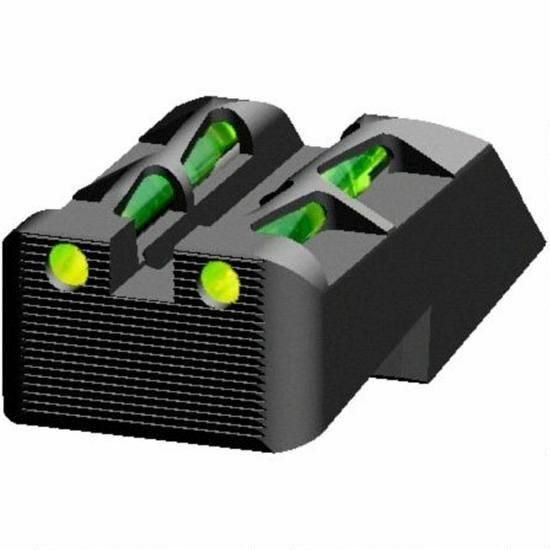 The HiViz LiteWave sights are designed to allow you to improve the performance of your factory firearm by providing you with a bright and ultra durable replacement sight option designed to enhance your confidence along with your shooting experience. LiteWave sights feature a replaceable Litepipe configuration that will allow you to change around the front sight color with a variety of color options. LiteWave's have more exposed surface area for the Litepipe to gather as much ambient light as possible in order to provide you with a bright sight picture. Fiber optic sights need ambient light in order to operate, do not expect them to operate in no light situation.